Welcome to the Black Friday Week edition of Prepaid Phone News' Prepaid Phones on Sale this Week feature. Here are the best current deals on prepaid and unlocked phones that I've been able to find online and in stores. With Black Friday sales starting as soon as tomorrow, many of these deals will be replaced by different, and hopefully better, deals later in the week. See our 2017 Online Black Friday Prepaid and Unlocked Phone Deal Tracker and our 2017 Black Friday Brick and Mortar Prepaid and Unlocked Phone Deal Tracker for all the Black Friday Deals. This week's Deal of the Week is the Unlocked Motorola Moto G5 Plus 32 GB LTE Android phone which is on sale for $169.99 at Newegg. Newegg is also including a $30 Motorola Bluetooth over the ear headset for free. Update 11/20: Newegg increased the price of the G5 Plus to $229.99. If you are a Costco member, Costco still has the G5 Plus 32 GB for $169.99 price but without the free headphones. The G5 Plus, which lists for $219.99, runs Android 7.0 Nougat, and has a Snapdragon 625 SOC, 2 GB of RAM, 5.2 inch, a 1920x1080px IPS display, memory card slot, headphone jack, fingerprint sensor, dual band WiFi, 12 MP main camera and 5 MP front cameras. The 3000 mAh battery is not user replaceable. The G5 Plus is a "universal unlocked" phone that works on all four US national operators and most international carriers. It has support for quad-band GSM; CDMA 800, 850 and 1900; UMTS/HSPA+ bands 1, 2, 4, 5 and 8 and LTE bands 1, 2, 3, 4, 5, 7, 8, 12, 13, 17, 25, 26, 38, 41 and 66. VoLTE is supported on T-Mobile and Verizon. Wi-Fi calling is also supported on T-Mobile. Unlocked Huawei Mate 9 64 GB LTE Android phone with free Huawei Band 2 fitness tracker $399.99) (reg,$499.99 w/o band) 11/22 only. iPhone SE 64 GB $159.99 (was $449.99), 128 GB $259.99 (reg $499.99). Verizon (or Verizon MVNO) Samsung Galaxy S5 G900V LTE Android phone (new) $145.95 Free shipping. Updated 11/22: Price cuts and new items since Sunday are in bold. Correct Bolt price at Twigby is back down to $112, not $120 listed at top. Family Dollar has the AT&T ZTE Maven 3 for $15 starting today. isn't the zte maven 3 easy to unlock? No Maven 3 is not easy to unlock. Now AT&T makes it practically impossible to unlock their prepaid phones. Thanks, Dennis. Used the guys you recommended on eBay. They unlocked my Maven 3 in an hour. You're the best, Dennis, keep up the wonderful work. Dead hoarse boost mobile is like a roach motel. You port in but you don't port out. LOL...Almost all dead are hoarse to the extreme for sure.. 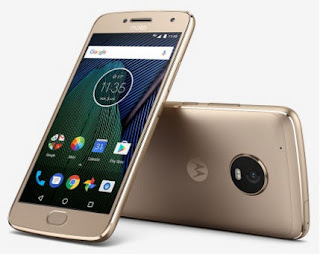 Different Costco stores add or not add extras on top of the $169.99 price for the Motorola G5plus: New Rochelle store adds a $25 Costco Cash Card; the Port Chester store had no added incentive. Newegg links to Moto G5S go to G5 models. Amazon has the unlocked Moto E4 Plus with offers for $119.99 and $129.99 for the 16 GB and 32 GB respectively. Prime members only. Amazon prime on us is on the Samsung just only I thought, you make it sound like it's on any phone. Deal of the Week BIS @ Amazon $169.99 also available at Jet.com for the same price.